As a restorative dentist, Dr. Nayot is fully into the study, diagnosis and integrated management of diseases of the teeth and their supporting structures and the rehabilitation of the dentition to functional and aesthetic requirements of the individual. He got his Doctor of Dental Surgery degree (DDS. ), second-class honors from Prince of Songkla University in 2010, followed by a higher graduate diploma program in dentistry (operative dentistry) from Mahidol University in 2014. 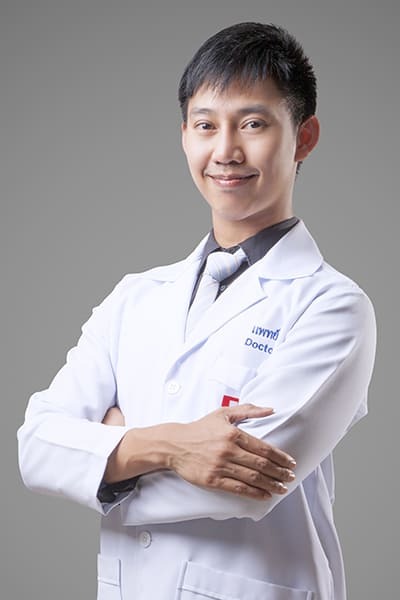 His dentist career started at Takuapa Hospital, Phang-nga province where he initially served as a general dentist, and he has eventually become a restorative dentist following his advanced studies. His recent research work/publication is about “Restoration of non-carious cervical lesions (NCCL) before connective tissue grafting for treatment of gingival recession: A case report: Journal of Thai Operative Dentistry Society: Vol. 12 No. 1 March 2015”.